This is the second re-sighting report that has come to me this week! Fisherman Tracey Haines contacted me with this photo of Herring Gull AAV taken from a fishing vessel about 10 miles offshore from Sable Island. On July 26, 2011, the boat was fishing for shrimp when this gull landed on board at 6:55a.m. and stayed around for a few hours, possibly snacking on food that escaped the net. Tracey noticed in the photo that the gull had another unusual piece of equipment attached to its right leg. 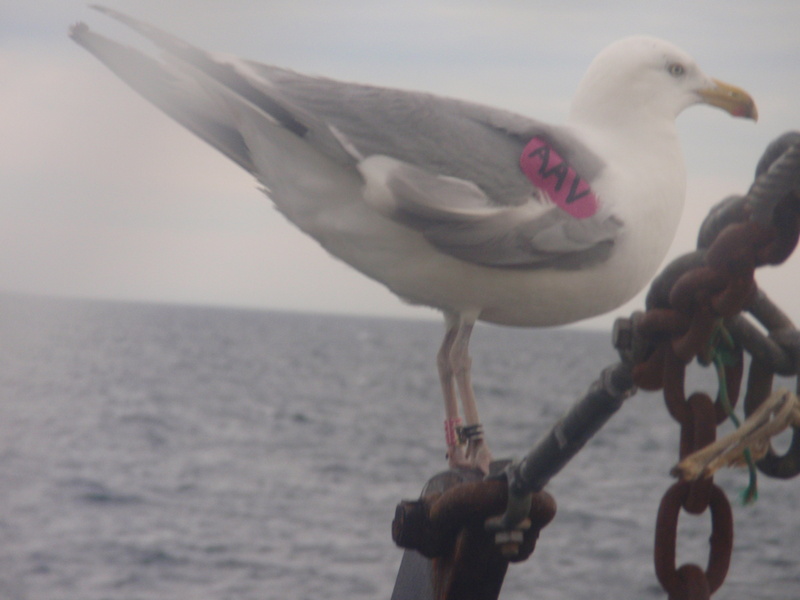 On top of the standard metal leg band issued to all birds handled during research, a special tag was attached for tracking gull movements year-round. 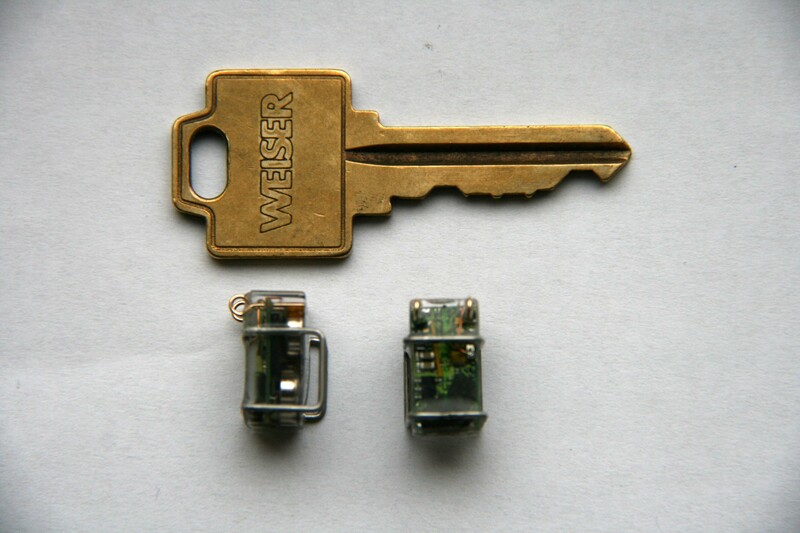 Known by researchers as geolocation tags, this 2-gram device measures and records light levels. By logging information about sunrise and sunset times, these tiny tags can be used to pin-point a bird’s location on the surface of the earth for each day of the year. This type of tag has been used on a wide range of seabirds from albatrosses to terns, revealing the epic long-distance migrations that these animals undertake. Of course the tags must be recovered to download the data, so we will be working extra hard on Sable Island next year to recapture these birds so that their migrations may be revealed. In the mean time, re-sightings of the pink wing-tags will provide valuable clues.